I don’t know about y’all, but any excuse to make colorful food gets me excited! Especially if it is a drink or dessert! I still can’t believe it’s almost the 4th of July. This year just continues to speed on by! I found myself browsing Pinterest and drooling over all the patriotic recipes I kept finding. 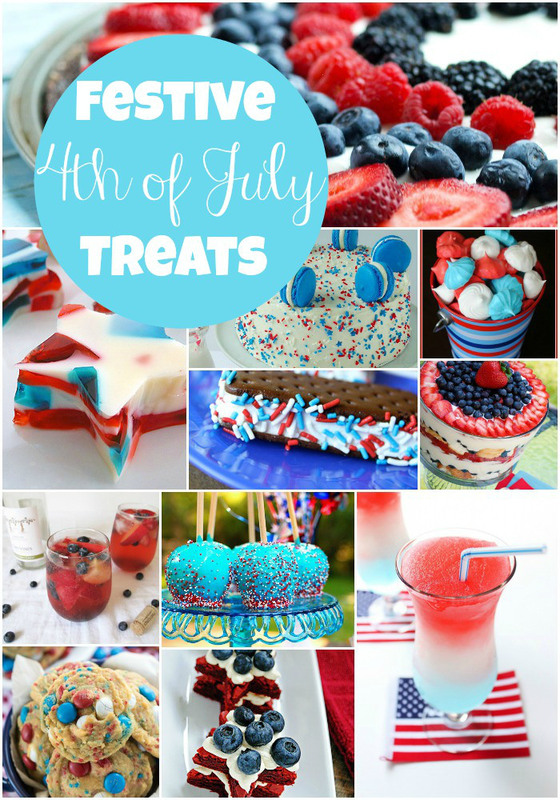 So I thought I’d do a 4th of July treats round up! If you’re like me and procrastinate, then you’ll be scrambling to find yummy treats to make for your family and friends this weekend! Here’s 15 festive recipes that will make you wish you could grab it off the screen and chow down! Happy 4th of July, friends! Happy eating!